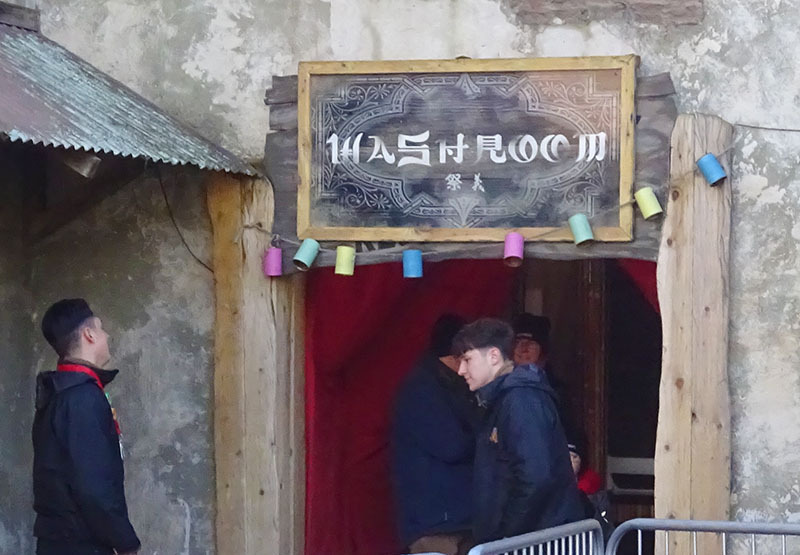 Behind the entrance to an old Asian washroom lies a secret ... the long lost tomb of Genghis Khan. Young adventurers are invited to go and explore what lies behind the hanging sheets in this family friendly haunted walkthrough. Curse of the Lost Tomb provides an ideal not-too-scary introduction to scare mazes. Inside, actors help children with various challenges to discover clues which help them progress to other scenes within the tomb. The theming is clearly inspired by Indiana Jones and the Last Crusade, and is nicely done. Explorers who manage to solve the clues get the opportunity to uncover an ancient treasure which has been hidden within the tomb ... will you avoid the curse long enough to discover it and the secrets which lie inside?